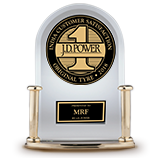 MRF Tractor Tyre rated no.1 on the J.D. 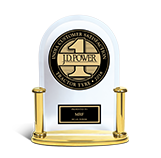 Power customer satisfaction index establishing its stronghold as the most preferred Farm Tyre Brand. MRF Brand of Car/SUV tyres ranked Highest in Customer Satisfaction. The 13th win for MRF! MRF won the silver award and is the only Indian company to win this excellence award. MRF won the award for customer satisfaction not once but 12 times till date. MRF voted the "Most Trusted" Tyre company in India by TNS 2006 global CSR study. MRF won the award for exports.